Donald Trump’s consigliere Michael Cohen proved to me that he is not a lawyer. If he was, he would have known that filing a civil lawsuit against Stormy Daniels and against Buzzfeed allowed them to conduct legal discovery. He learned a valuable lesson this week. Now that he knows he is under criminal investigation by the U.S. Attorney’s office for the Southern District of New York, he cannot afford to have a parallel civil case where discovery is also being conducted. Cohen drops libel suits against BuzzFeed, Fusion GPS. Experts say the combination of that and the favorable terms of the settlement — McDougal basically has to share only a small portion of the profits she might make from selling her story — suggest AMI was worried about what lay ahead. With President Trump and his subversive comrades in Congress daily threatening to subvert justice and to undermine the Special Counsel’s Russia investigation by firing Deputy Attorney General Rod Rosenstein and Special Counsel Robert Mueller, someone else took notice of the value of filing a civil lawsuit for the purpose of conducting legal discovery: it is one way to preserve evidence in a parallel civil lawsuit, and to continue to conduct discovery if Trump tries to obstruct justice by shutting down the Special Counsel’s criminal investigation. 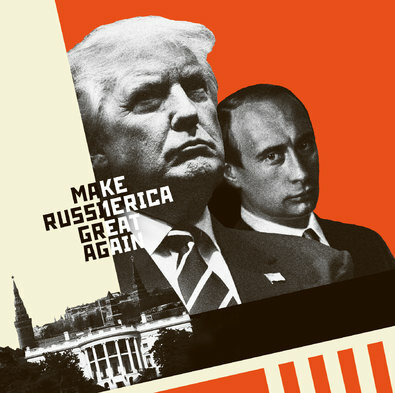 “This constituted an act of unprecedented treachery [some dare call it treason]: the campaign of a nominee for President of the United States in league with a hostile foreign power to bolster its own chance to win the presidency,” he said. Last month, House Intelligence Committee Republicans – led by “Midnight Run” Devin Nunes, a Trump transition team member, who concocted conspiracy theories with the Trump White House in order to undermine the Russia investigation – said they found no evidence that President Trump and his affiliates colluded with Russian officials to sway the election or that the Kremlin sought to help him — a coverup rejected by and thoroughly debunked by the panel’s Democrats. 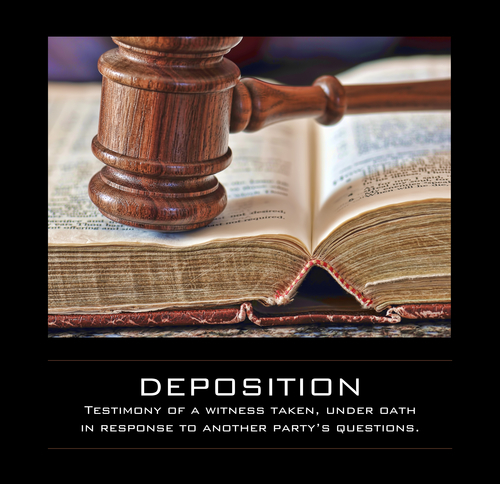 Notices of deposition to everyone! And this time, unlike in the House Intelligence Committee, they will be under oath and subject to perjury. Stone has since denied any communication with Assange or advance knowledge of the document dumps by WikiLeaks, saying his comments about Assange were “jokes” or exaggerations. You won’t be laughing now, you GOP ratfucker. Remember the rule in dealing with Roger Stone: everything he says is a lie, unless you can prove otherwise. He has a perjury charge in his future waiting for him. One theory I would like to see Robert Mueller pursue in his criminal investigation is to treat the RNC and its affiliated organizations as a criminal enterprise and to charge them under the Racketeer Influenced and Corrupt Organizations Act (RICO), which provides for extended criminal penalties and a civil cause of action for acts performed as part of an ongoing criminal organization. The RICO Act allows the leaders of a criminal enterprise to be tried for the crimes which they ordered others to do or assisted them in doing, even if they did not actually commit the crime personally. Those found guilty of racketeering can be fined up to $25,000 and sentenced to 20 years in prison per racketeering count. We know for a fact that GOP operatives, including House Speaker Paul Ryan’s Congressional Leadership Fund super PAC, used the data stolen from the DNC and disseminated it to GOP candidates running for Congress in Forida, Kentucky, Pennsylvania, Texas, Virginia and West Virginia. GOP operative colluded with Guccifer 2.0 – Russian stolen info was used by the GOP. A case can be made that the RICO Act is applicable.